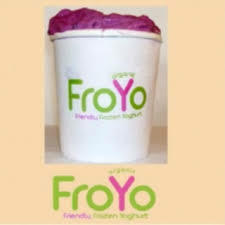 Rumor has it that froyo will be release for the motorola droid on July 13th. Android 2.2 comes bundled with Adobe Flash 10.1, the latest and greatest version of Flash. Handsets running Android 2.2 will have full access to the web’s flash content, including websites like Kongregate, PopCap games and Farmville. Hulu is another big name at the top of everyone’s list when Flash is mentioned, but they’ve decided to sit this one out. Hulu has blocked Android 2.2′s Flash player citing copyright concerns; their content providers don’t want to be seen on any device but the desktop. UPDATE: It is confirmed that Flash support requires a handset with a processor comparable to or better than the ARM Cortex-A8. In other words, every mobile prior to the Droid is off the table. If there is no space available for applications in an Android 2.2 handset’s onboard ROM, the applications will be automatically installed to your microSD card. Android 2.2 comes packaged with a little piece of code called the just in time (JIT) compiler. A JIT compiler will increase the speed of Android and its applications by translating their code into a form that’s much faster for your phone to run. Using a phone’s unlimited data plan, Android 2.2 handsets can use their WiFi chips like a wireless router to provide Internet to nearby wireless devices. It is not yet known if carriers intend to charge extra for this feature, but it is rather likely. Faster than WiFi, USB tethering turns your phone into a surprisingly snappy modem that can make quick work of basic web browsing. Like WiFi tethering, it is not yet known if carriers plan to charge for the feature but, again, it is rather likely. Users running FroYo can now configure any and all applications they have installed to automatically update themselves when a new version is available in the Android Marketplace. This auto-updating functionality is completely discretionary, and configured on a per-app basis. Users will also have access to an “Update All” button that updates every installed application. Google also announced an online Marketplace, which allows users to browse Android applications from their desktop and then push them OTA to their Android handset. Google has announced several new APIs in Android 2.2 that better leverage a phone’s 3D graphics chip. It is not yet known how developers plan to make use of these changes. Android 2.2 revamps the camera’s user interface to support one-handed operation. A new series of radial menus and dials auto-rotate with the phone, and have taken the place of the old UI. Thanks to Google’s acquisition of Simplify Media, users will be able to stream their DRM-free music to their Android 2.2 handsets. The same streaming technology can evidently be used to push music and videos OTA as well.